Emerge is a very minimalist and clean personal free blogger template. This theme is designed for personal blogging and is a responsive blogger template that comes with rich design ability and it is SEO optimized to attract people from all over the web to your website. 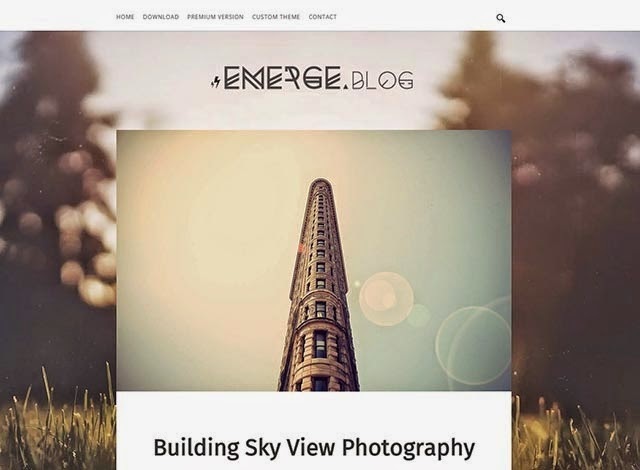 Emerge blogger template have a personal blog design and it has very user-friendly blogger layout from which the users can adjust their own settings and can manage widgets.